Skim milk, also known as skimmed milk, is the result of removing most of the cream or milkfat from whole milk, leaving behind a milk product with less than one percent of the fat. The fats taken out of skim milk include saturated fats, a fat that has long been associated with the increased risk of cardiovascular disease. Skim milk is not burdened with this reputation due to the negligible remaining amount of saturated fat. Skim milk is loaded with many other essential nutrients found in whole milk, however. Skim milk is an excellent source of protein: A single-cup serving can deliver 8.3 g of this important nutrient. The protein content of skim milk is notable thanks to the presence of casein, a protein that is easy to digest. Proteins are responsible for muscle formation, stabilizing blood sugar levels, promoting healthy brain function, and maintaining strong bones. Skim milk is packed with many vital minerals such as calcium, potassium, selenium, zinc, phosphorus, and magnesium. All of these minerals play a key role in good health: calcium and phosphorus work together to build strong bones and teeth, potassium regulates blood pressure, selenium supports the thyroid, zinc boosts immunity, and magnesium aids in calcium absorption. The skimming process takes out fat and some fat-soluble nutrients, so a number of manufacturers fortify skim milk as compensation. The most commonly added skim milk nutrients are vitamins A and D, though the levels may differ from brand to brand. 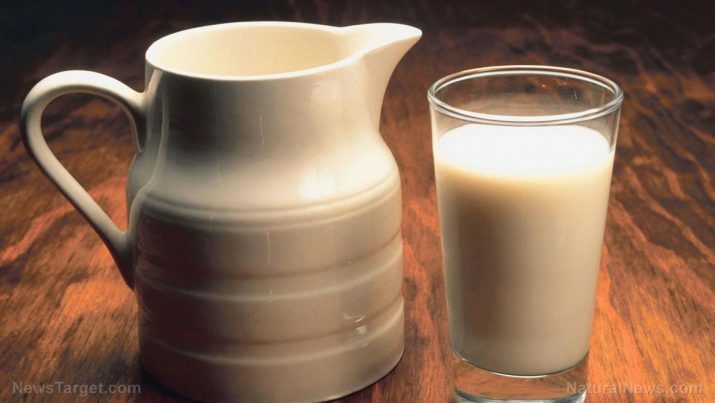 A cup of whole milk is worth 160 calories, while skim milk has a mere 71 calories. The calorie content of skim milk can be attributed largely to the presence of lactose, a carbohydrate and an energy source. Many of the health benefits of whole milk remain in skim milk. These include reducing the risk of osteoporosis, high blood pressure, and poor muscle growth. One benefit that skim milk can claim for itself is in weight loss and weight maintenance. Skim milk has a lower caloric and carbohydrate count than whole milk, so individuals who are trying to lose weight can switch to skim milk to reap the benefits of milk without the fat. Just like whole milk, skim milk can support the formation of healthy bones, teeth, and muscle, and the functions of the heart, brain, and circulatory system. Without saturated fats, skim milk may be even better than whole milk at keeping the heart healthy. The absence of fat in skim milk means that it can’t be used as a substitute for low-fat or whole milk in recipes that specifically call for either of these milk varieties. Skim milk is lighter in flavor and thinner in consistency and would compromise the quality of the recipes. This, however, makes skim milk ideal for dishes that would otherwise be affected by the fullness and richness of whole milk. Scrambled eggs, yogurt, blueberry muffins, smoothies, and healthy-variety chocolate cake can benefit from the addition of skim milk. All of these recipes and much more can be found on SnapGuide.com. Skim milk is available in powdered form too. Powdered skim milk can be used in the same way as regular skim milk. Its advantage lies in storage: powdered skim milk has a low moisture content, resulting in a longer shelf life and no need for refrigeration. Note: Heating skim milk can result in nutrient loss. The skin that forms om heated skim milk is composed of protein and calcium, so removing the skin takes away the calcium and protein. To prevent this, heat skim milk in a covered pan. This will cut down on evaporation and lessen skin formation. Skim milk is low in fat but has many of the benefits of whole milk. These include supporting the bones, heart, and brain, and decreasing the chances of osteoporosis, heart conditions, and weak muscles.